Disclosure: This quick and awesome guide on how to Watch Game of Thrones online contains affiliate links. However, it costs you nothing extra, is anonymous and helps support quality guides like these. In recent years, governments and information technology authorities have come down hard on piracy and other related practices. Some of the leading torrent based platforms have been shut down and other platforms have to resort to constant server switching to remain operational. While, these actions may be justified to a certain extent, some media outlets are using their regulatory powers beyond adequate limitations. Game of Thrones is one of the most popular TV shows of the 21st Century. The fantasy drama series based on George R. R’s novel series, A Song of Fire and Ice is currently airing its eighth and final season on HBO. The show aired its first episode on April 17th 2011 and quickly became one of the most appreciated series. The latest episode on the show was reportedly seen by around 16.5 million people. It is a 36% jump in the viewers over the figures from last year. 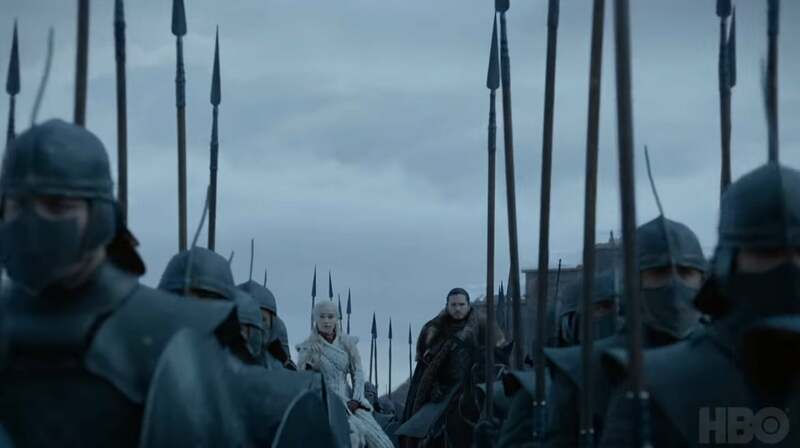 Why you need a VPN to watch Game of Thrones online? Despite its popularity, HBO has opted to some harsh tactics to restrict viewers outside the US from watching the show. The service provider tracks user IP’s and blocks any of them which are not from the United States. This has stripped millions of viewers from around the globe of the chance to view the finale of their favourite thriller. However, if you are a viewer residing in a country other than the US, there is now a way out. The use of a VPN service can allow you to watch Game of Thrones episodes worldwide. A reliable VPN like Ivacy allows you to mask your IP, tricking HBO’s geolocation technology in believing that you are a resident viewer. Ivacy provides added benefits over other services available on the market. Not only can it mask your current location but it goes a step further by providing hundreds of available servers as well as automatic switching to allow you to stream without interruptions. Most people associate the use of a VPN to piracy. This representation is not accurate. Watching content downloaded through torrents or other illegal channels might count as piracy but HBO is currently blocking viewership through its own portal to people not in the US. Even with an “HBO Now” subscription, any person travelling outside the US or a resident of any other country doesn’t have access to the favourite content. A robust VPN like Ivacy only masks your current IP so that you can login to HBO Now from anywhere in the world and continue to watch Game of Thrones season finale without any hindrance. Now login or sign up for your HBO Now account and voila! Ivacy is one of the most highly rated VPN service provider on the market. Its plethora of features like hundreds of servers and automatic switching enables users to enjoy seamless streaming at all times. With attractive package pricing starting at a mere $8.95 a month, Ivacy offers features which few in the industry can match. Winter is coming and the battle for the Iron Throne has entered its final stages. Make sure that you stay tuned as the climax of the most anticipated show of our generation unfolds. With Ivacy, you have the ability to stay connected effectively.